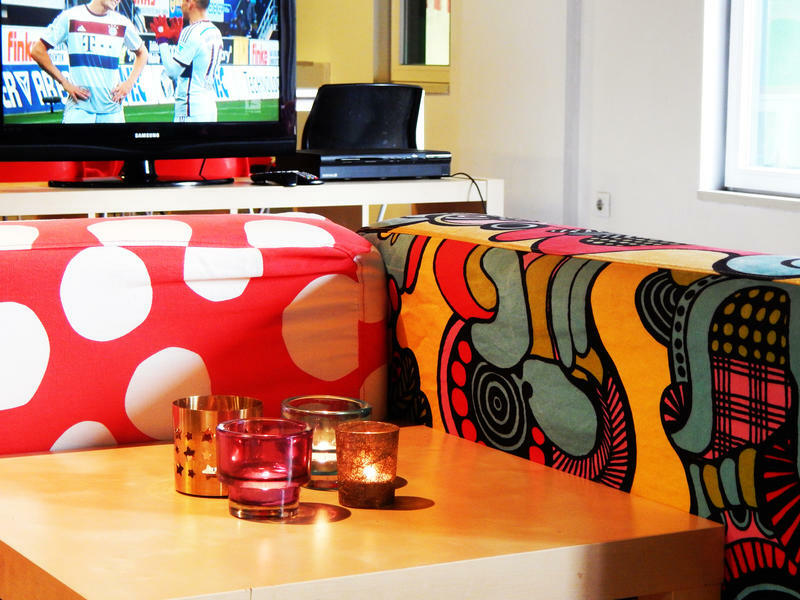 The new Ganbara Hostel is a modern, fun place to stay. Its excellent amenities will make your stay in Bilbao a memorable one. The Ganbara is the only hostel in the Seven Streets area: the very heart of the Old Town district of Bilbao. 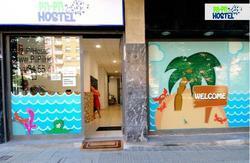 Ganbara Hostel is the most centrally located hostel in Bilbao: it is based in the 'Seven Streets' of the Old Town district, from where all the main tourist attractions of the city are easily accessible. It is just 50 m from a Metro station that will take you wherever you want to go. But it is also so well situated that the city's main sights are within easy walking distance. Or you could take the tram: the nearest stops are La Ribera and Arriaga. This is an ideal way to get to know the more modern areas of the city, as it runs through the Abandoibarra district, which is home to the Guggenheim Museum, the Isozaki towers, the Iberdrola tower, the Zubi-zuri footbridge, Deusto University, etc. - From the airport (Loiu): take Bizkaibus bus n A3247 at the stop opposite the arrivals gate, and get off at the Termibus bus station. Take the metro from there to Casco Viejo station and exit via Plaza Unamuno. Calle Prim is on the left-hand side of the square, and we are located just around the first bend (c/ Prim 13). - From the bus station (Termibus): Take the metro to Casco Viejo station and exit via Plaza Unamuno. Calle Prim is on the left-hand side of the square, and we are located just around the first bend (c/ Prim 13). - From the railway station (Abando): if your rucksack is heavy or you just don't feel like walking, you can take the Metro from the railway station to Casco Viejo and exit via Plaza Unamuno. But if you're up to it we recommend that you walk, since the main line station is quite close to the Old Town district. Just stroll down Calle Navarra and cross the El Arenal Bridge. On your left you will see the church of San Nicols. Take Calle Askao, the street which runs behind the church, to the right as far as Plaza Unamuno. Calle Prim is on the left-hand side of the square, and we are located just around the first bend (c/ Prim 13).